Polyelectrolytes have recently attracted extensive attention due to their wide applicability in material research ranging from implant coatings, filtration devices, up to special optical coatings. Polyelectrolyte multilayers (PEMs) can be formed by the alternate deposition (i.e., layer-by-layer) of negatively charged (polyanionic) and positively charged (polycationic) polyelectrolytes onto a surface. Due to the versatility and simplicity of the layer-by-layer assembly process, multilayers may be deposited onto almost any substrate of any shape. 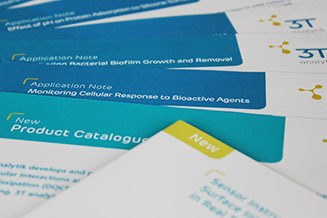 This enables easy supplementation of bioactive agents or antimicrobials and coating of tissue engineered scaffolds. 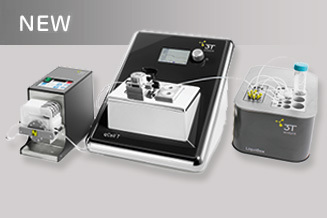 3T analytik’s fully automated QCM-D device -qCell T auto- combines the features of qCell T with automatic sampling. It ensures excellent stability and reproducibility for long-term unattended measurements. For polyelectrolytes multilayers, the gradual layer-by-layer build-up can be carried automatically while gaining information about the mass and rigidity of the formed layers at the same time.